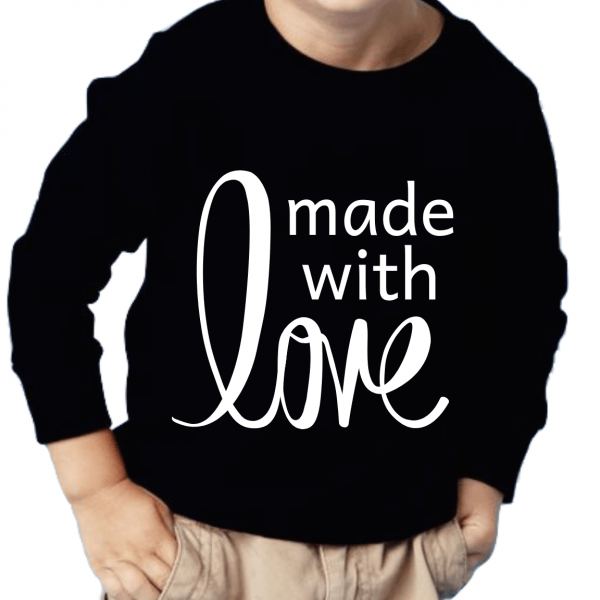 Full sleeves Black Color T shirt for small kids above 1 to 15 year. Special Valentine T-shirts for little one and kids also. “Made With Love ” Text and Elephant cartoon print on t-shirt.